It is our mission to constantly improve on the quality, efficiency and cost effectiveness of the legal services provided to the municipality. We seek to accomplish this goal by a constantly evolving process of formal education, learning through experience and analysis of our completed operations. We recognize that the municipality operates in an increasingly complex legal milieu and that it is the primary objective of the City's Legal Department to assist municipal employees and officials in responding to the challenges created by that environment. 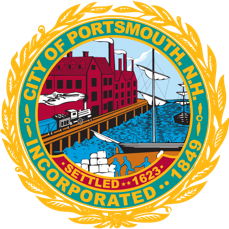 The City Legal Department advises and represents all of the disparate elements of the City government, including the General government, the School Department, the Police Department, the Fire Department and all of the various boards, commissions and agencies. Certain services are provided by outside private law firms under both continuing contracts and on an as needed basis. The scope of these legal services includes both matters of an advisory as well as a representational nature. It includes the provision of legal opinions, the drafting of legal documents and both the prosecution and defense of items of litigation involving the City government and its officials. The Legal Department is administered by the City Attorney. There is a Deputy City Attorney and an Assistant City Attorney who work in City Hall, as well as a part time Assistant City Attorney who works outside of City Hall and is dedicated solely to the School Department, and a full time and part time prosecutor who work within the Police Department. The Code Enforcement Officer operates under the direction of the Legal Department. Department activities are coordinated by the legal assistant.